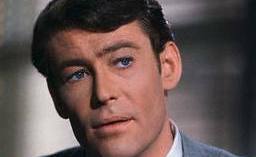 Peter O Toole has been a screen as well as stage artist. He came into limelight in 1962 with his role as T. E. Lawrence in the movie Lawrence of Arabia. Further, his graph kept on rising. He got nominated 8 times for Academy Awards and made a record for getting nominated but not winning. However, he won four Golden Globes, an Emmy, a BAFTA and received the Honorary Academy Award in 2003 for his body of work. A birth chart (also known as kundli, janma kundali, or horoscope) is a map of heaven at the time of birth. Peter Otoole's birth chart will show you Peter Otoole's planetary positions, dasa, rasi chart, and zodiac sign etc. It will also allow you to open Peter Otoole's detailed horoscope in "AstroSage Cloud" for research and analysis.